Michael graduated from Oxford Brookes University with a Masters Degree in Osteopathic Medicine. Whilst at University, he gained a Diploma in Sports Massage. After University, he furthered his studies by qualifying as a Medical Acupuncturist. He will use all three therapies individually or combine them, depending on the condition. Michael assesses aspects of the patient's lifestyle that may contribute to their condition, believing that incorporating advice regarding these factors into an Osteopathic treatment will provide further benefit. He looks further than the presenting condition to identify any underlying causes. He then treats the condition using a range of techniques, advice and exercises aiming to prevent the condition returning. Michael also has a large passion for music and has composed scores for theatre productions, artists, authors and weddings. During his free time he enjoys walking his dog, going to the gym and running. DISCLAIMER: All the information provided by Michael Garrett/Pinnacle Posture and any associated images/videos are strictly for informational purposes only. The information is not intended as a substitute for advice from your health care provider or physician. 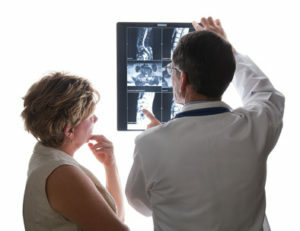 The information provided by Michael Garrett/Pinnacle Posture and associated images/videos cannot be used to make a diagnosis or treat any health condition. Michael Garrett's/Pinnacle Posture's blog posts, comments and website contains general information about medical conditions and treatments. The information is not medical advice, and should not be treated as such. The medical information in Michael Garrett's/Pinnacle Posture's blog posts, comments and website is provided “as is” without any representations or warranties, express or implied. Michael Garrett/Pinnacle Posture accepts no liability for, including but not limited to, any injury or accidents caused by the use of any information provided in its blog posts, comments or website.